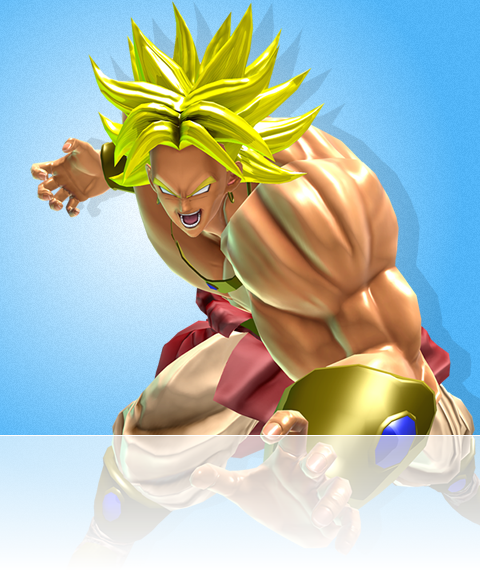 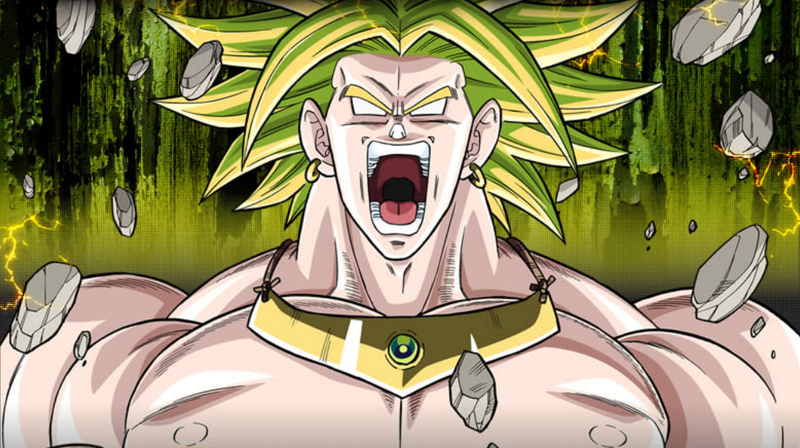 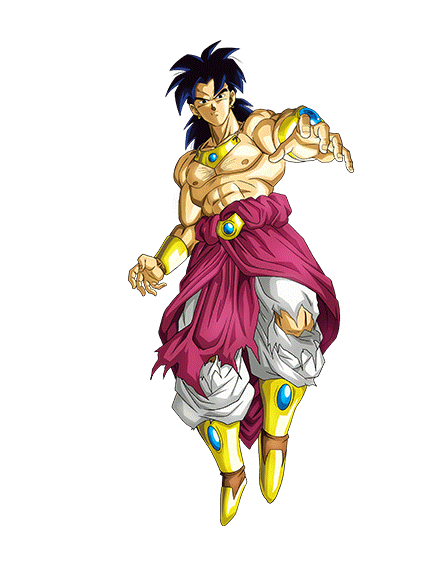 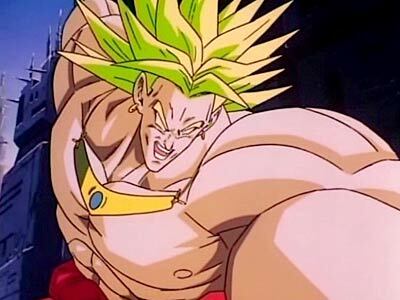 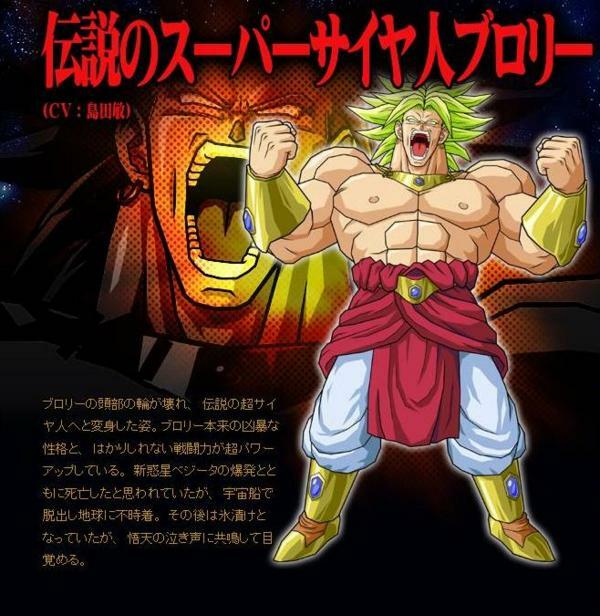 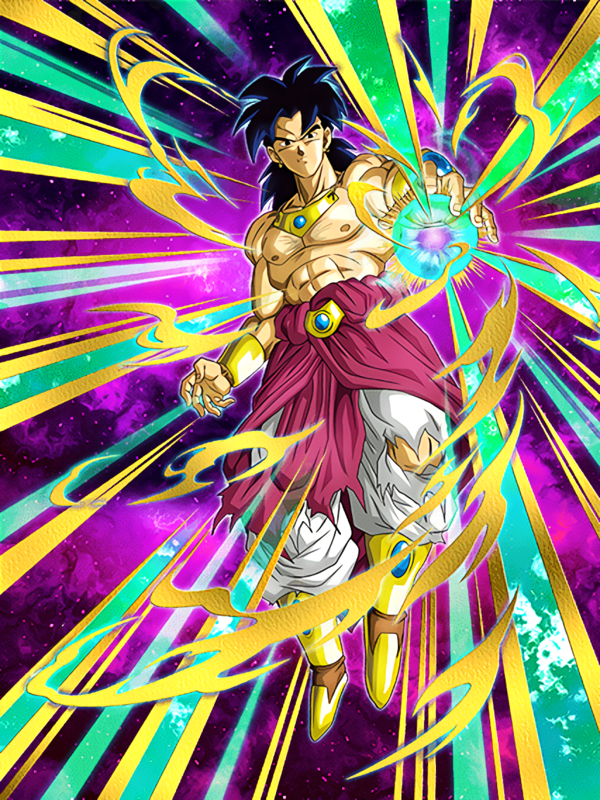 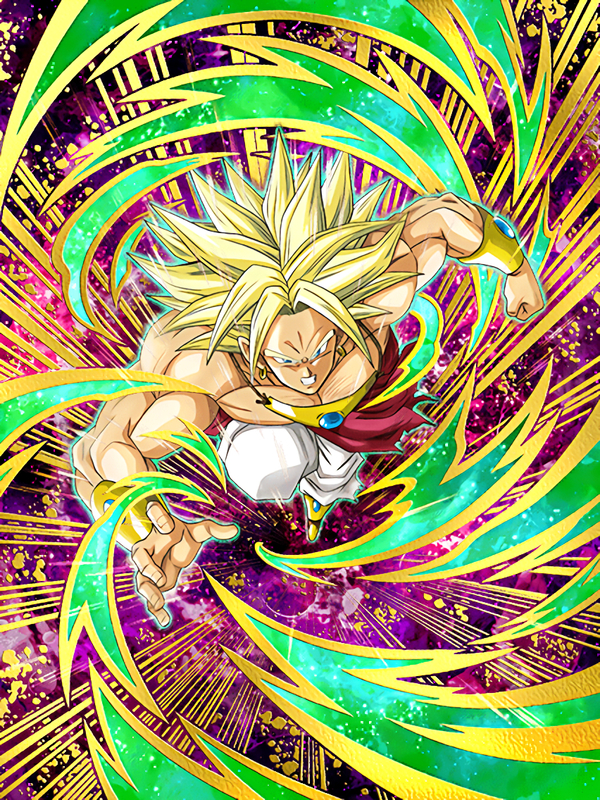 Broly is the main antagonist in the Broly Triple Threat trilogy. 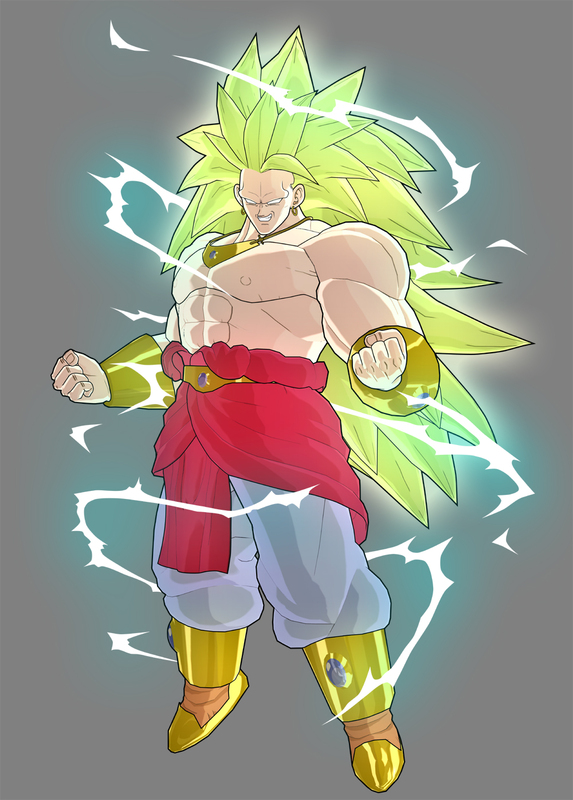 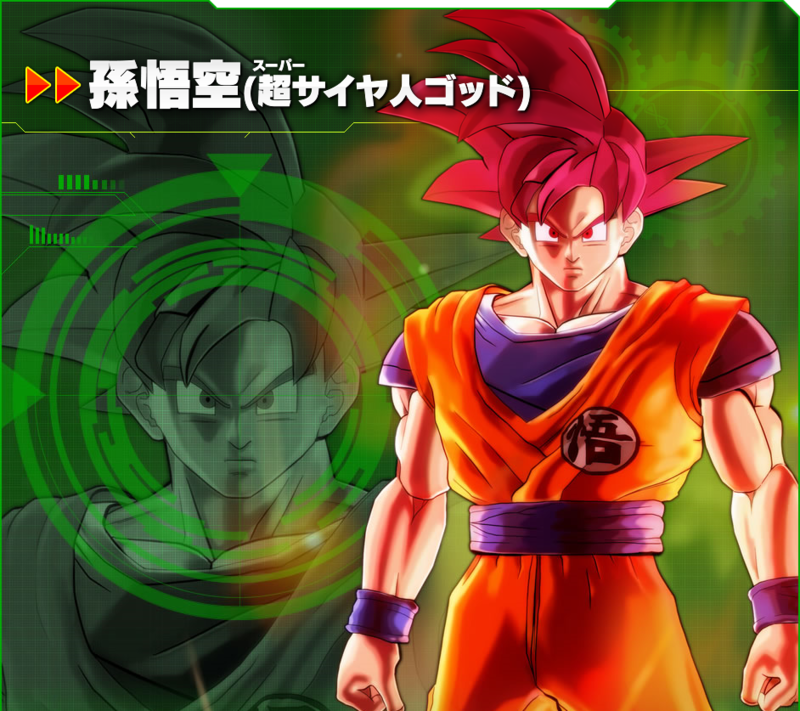 He appears to be the latest of the Legendary Super Saiyans who appear every thousand years. 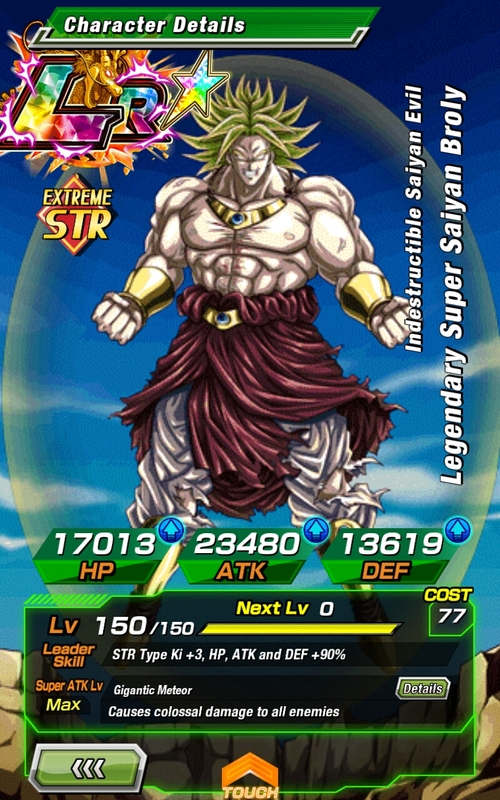 His father is Paragus. 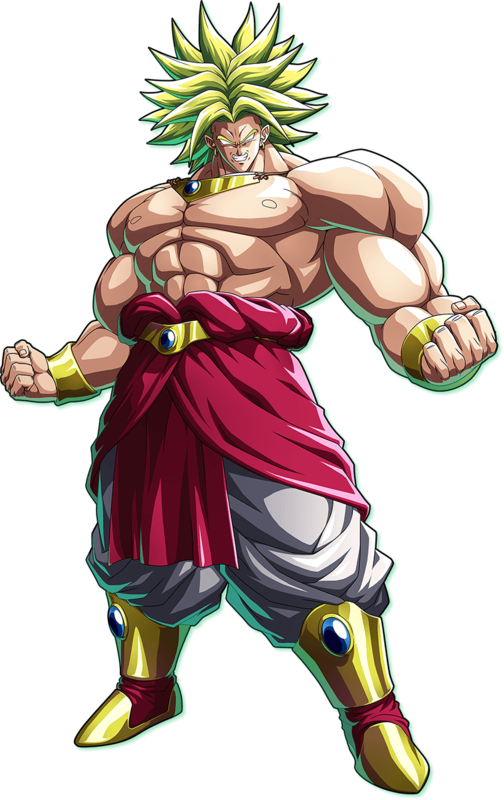 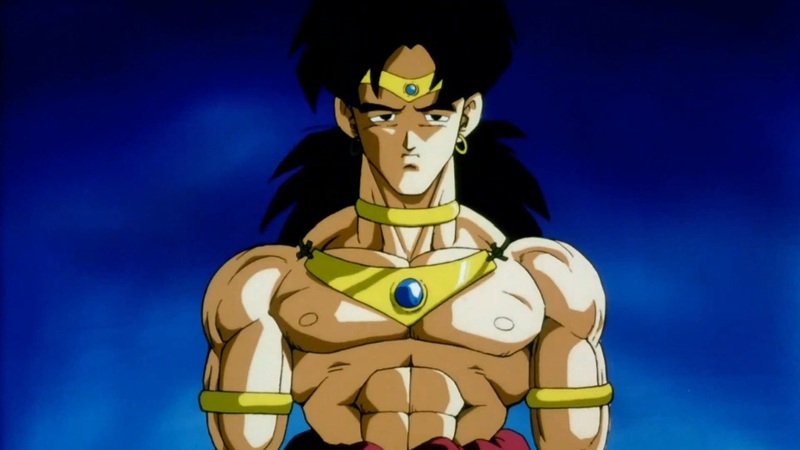 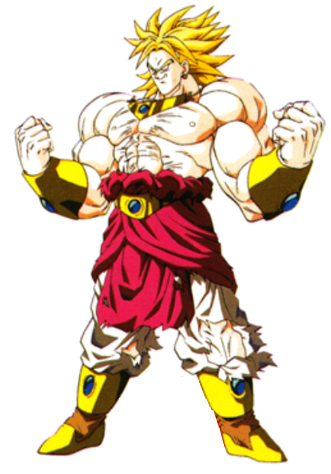 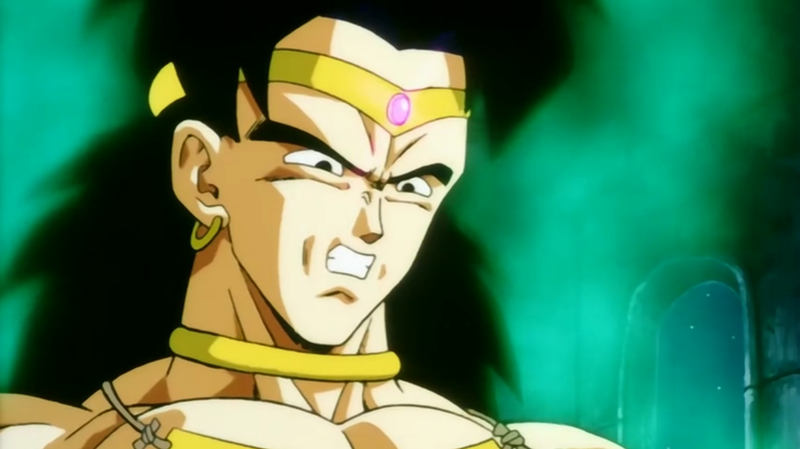 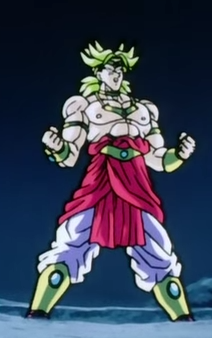 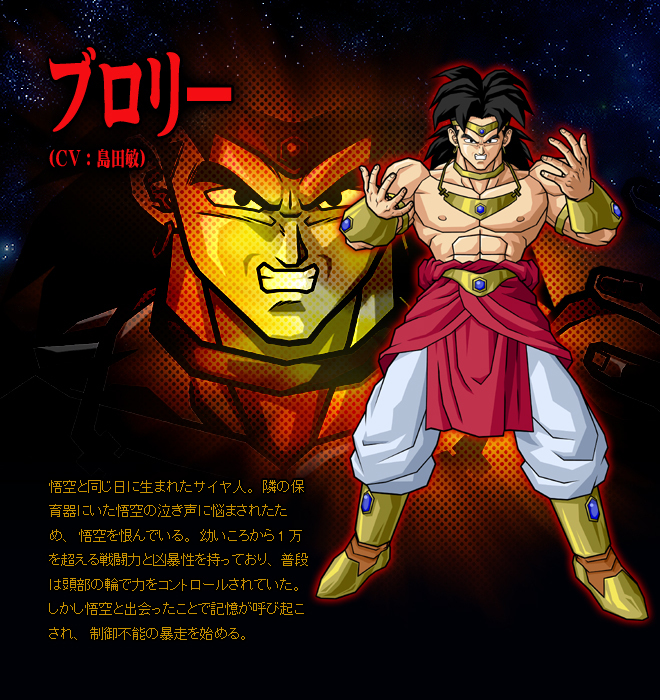 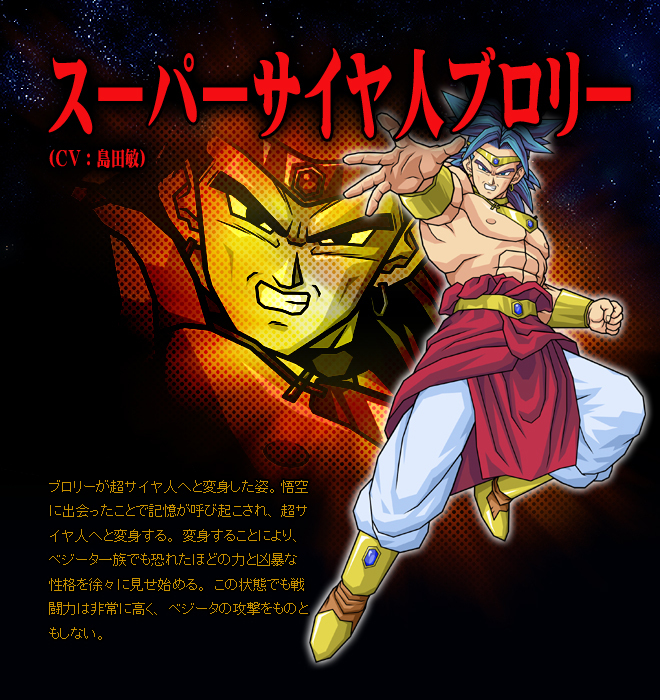 To better control Broly and his power as his mental-instability continued to grow, Paragas placed a crown on Broly's forehead, along with wristbands and a necklace with a flat plate over the chest. 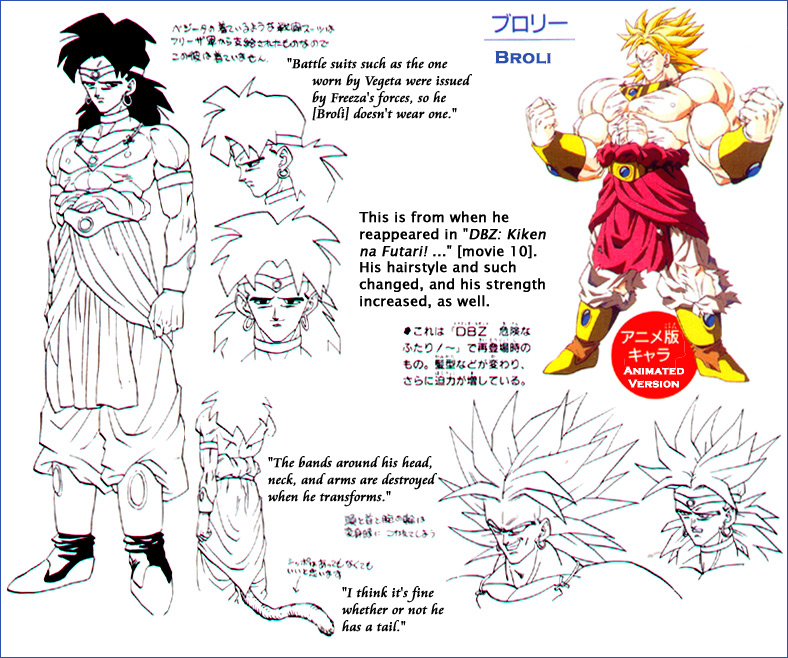 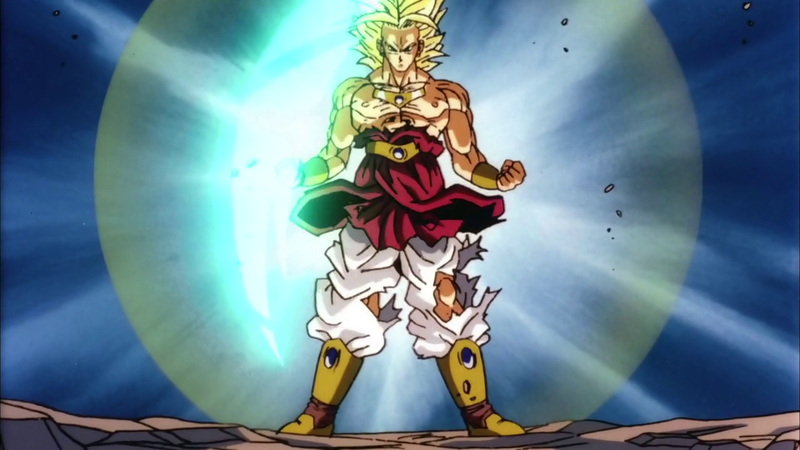 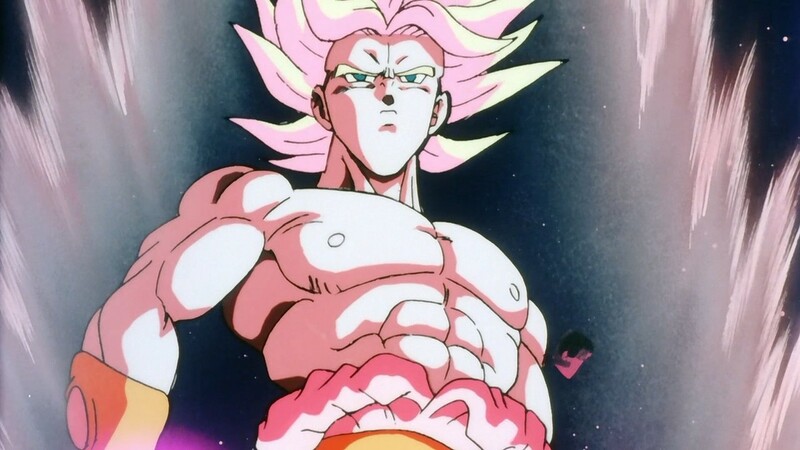 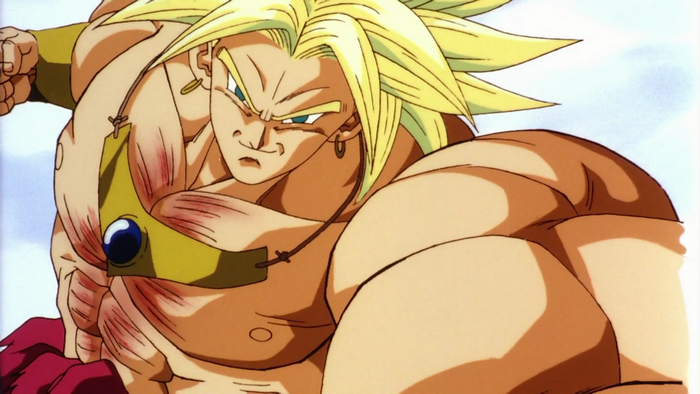 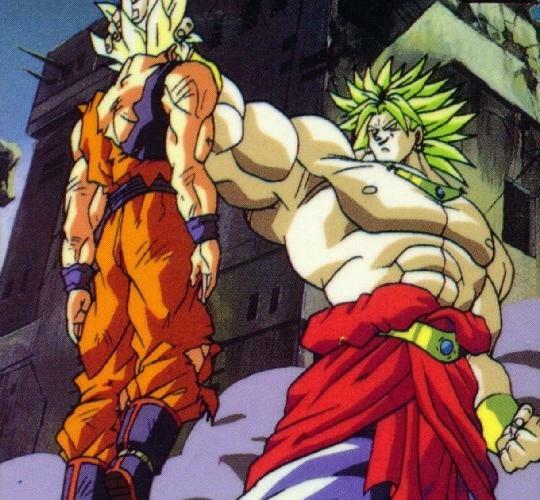 Broly was born in Age 737, during the period of intense turmoil between Frieza and the Saiyans. 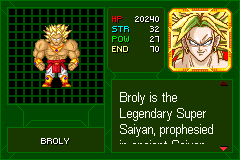 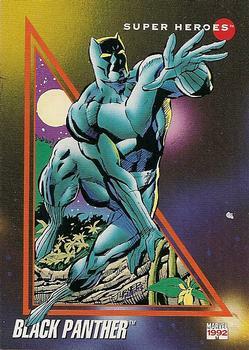 At birth, his most curious feature was his inordinate power level of 10,000. 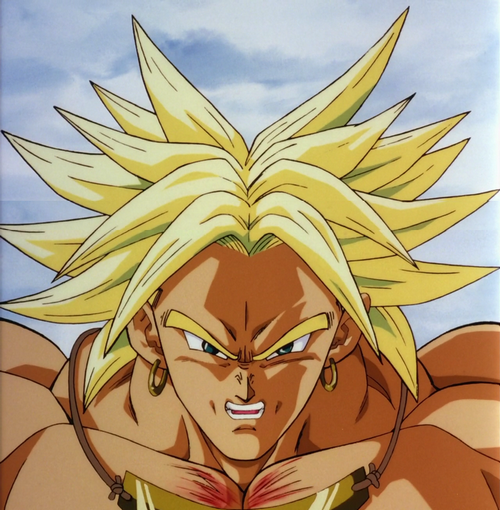 This anomaly meant that by birth, Broly's power had already been close to that of Bardock and King Vegeta at the time of their deaths.